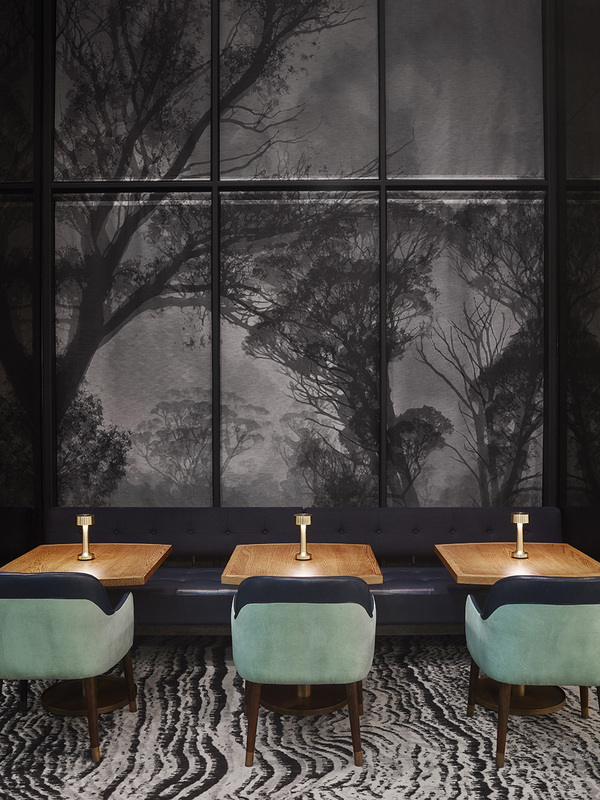 Luchetti Krelle has drawn on the refined glamour of the 1920’s golden days of grand hotels to create a luxe and immersive dining at the Four Seasons-owned Mode Kitchen & Bar in Sydney. 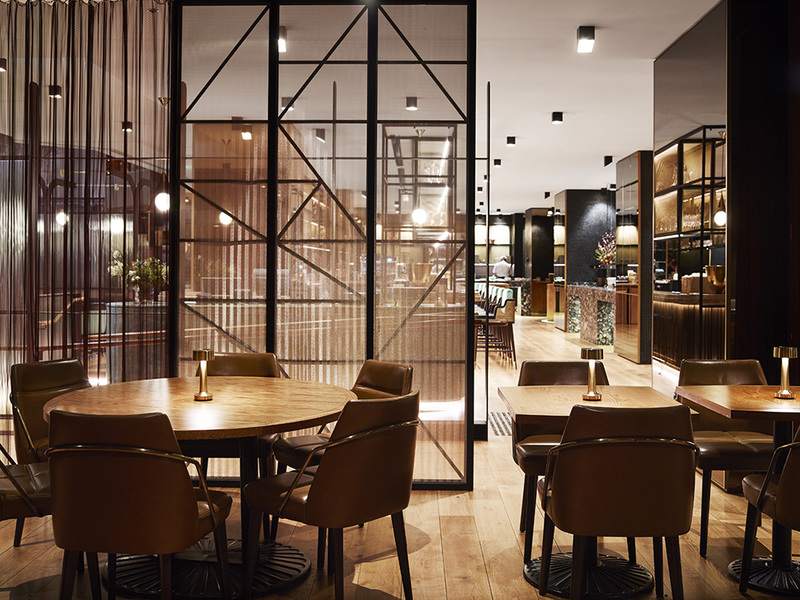 The interior design practice was tasked with creating an intimate dining venue within a challenging and disconnected space. 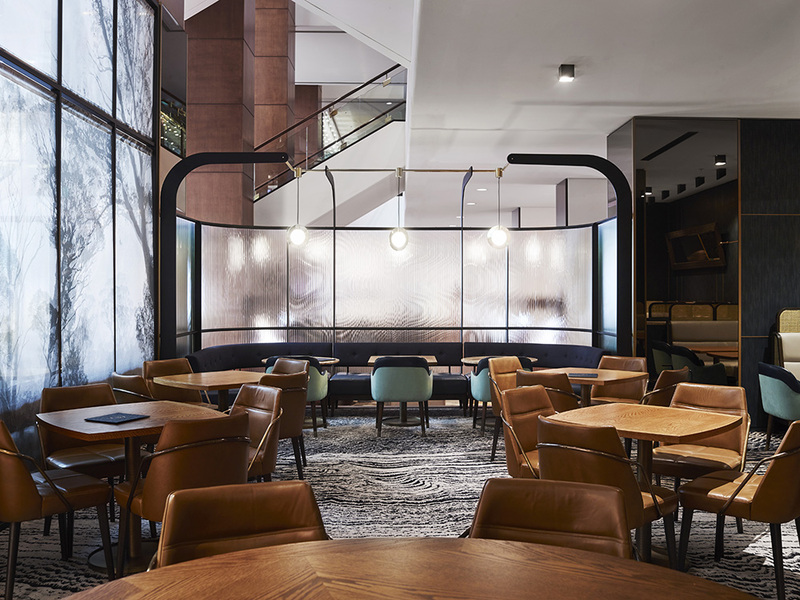 The original restaurant was split into two zones on separate levels and exposed to the lobby above and so the planning needed to consolidate these levels to create a successful hospitality space. 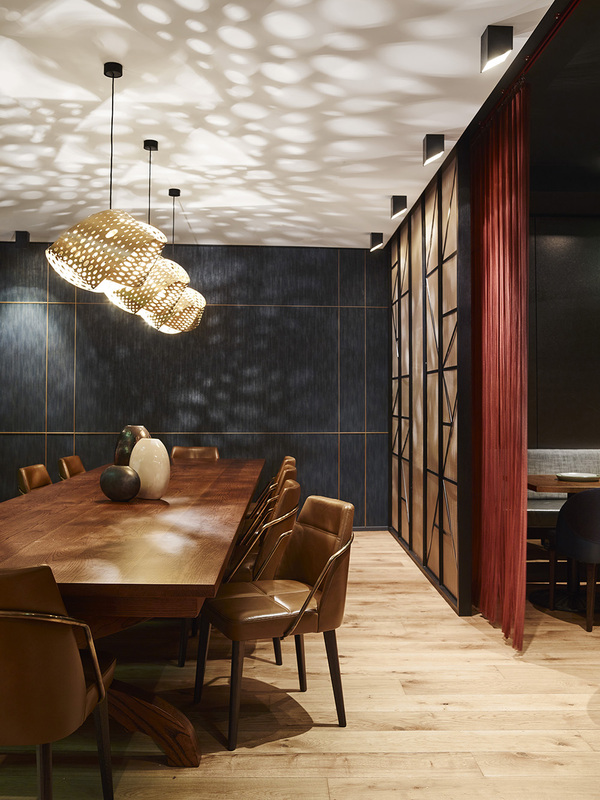 To achieve this, Luchetti Krelle raised the floor level to create one single level. A façade of curved, fluted glass and steel encases the space “like a jewel box,” explains the design team. “The pearl-like pendant lights drop from the arching blades, creating an implied canopy of shelter from the atrium above. 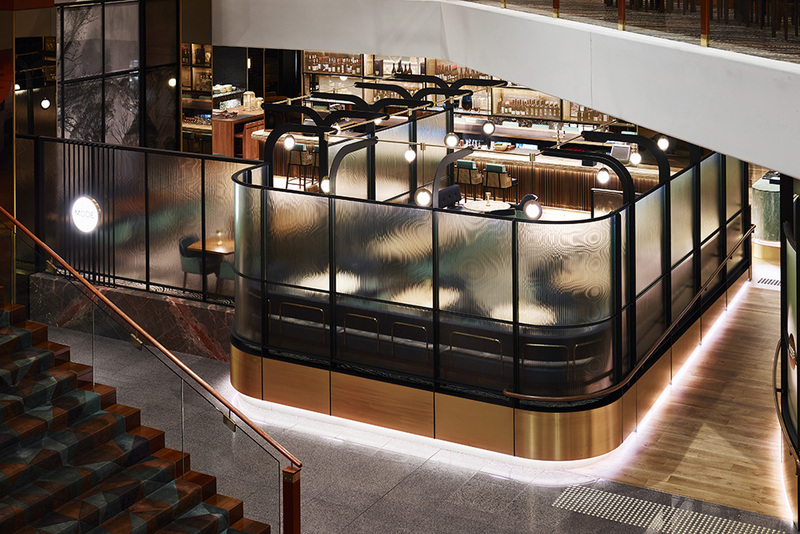 Grandeur and glamour are expressed through an impressive new bar that stretches over 9 metres long and allows all areas of the restaurant to feel connected to this hub of activity. The interior palette consists of polished brass, marble and crystal-like fluted glass in a nod to the grand hotels of the early 20th century. 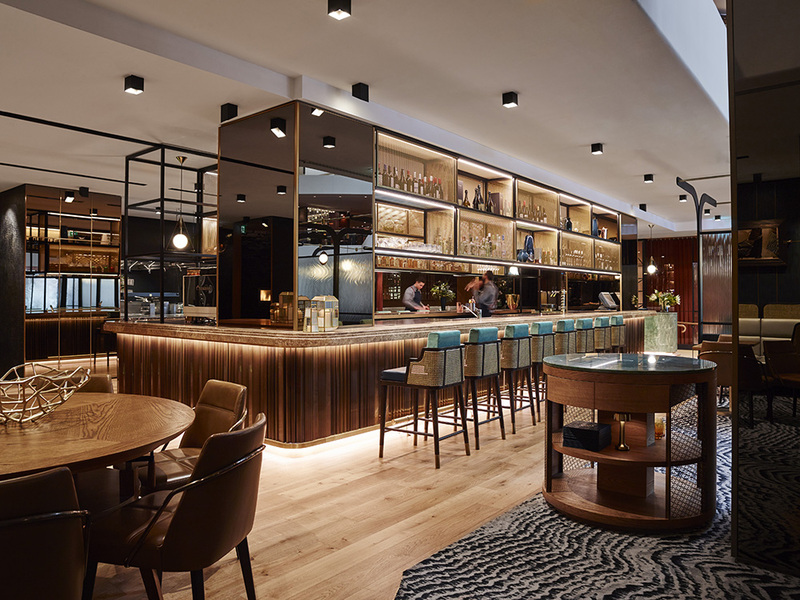 At the bar, the warmth of the aged brass cladding is offset by mint-hued Smeraldo marble. 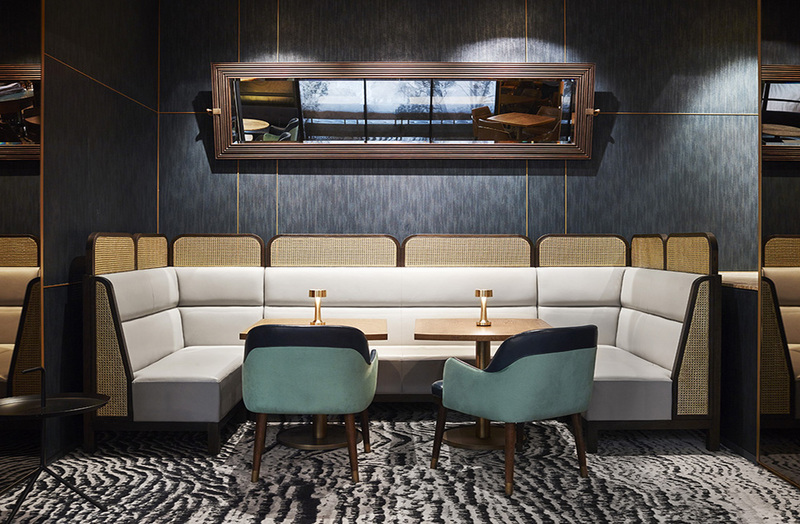 Bespoke banquette seating and furniture upholstered in a combination of midnight-blue leather and jade velvet sit on a Tom Dixon-designed carpet, to create a luxurious lounge, dining and bar experience.